While Rise and OpTic flourished, teams like eRa and Vitality floundered. With the second day of the 2018 Call of Duty World League Pro League in the books, we’re beginning to get a clearer look at the true hierarchy in Division A. Although Red Reserve vs. Rise Nation lived up to the hype as a great rematch from the CWL New Orleans Open, the biggest match of the night came when Team Kaliber and Echo Fox faced off. With tK’s weaknesses exposed in their 3-1 loss to OpTic Gaming on Tuesday, Echo Fox had a great opportunity to knock the best team in the world down to 1-2 in Stage One. 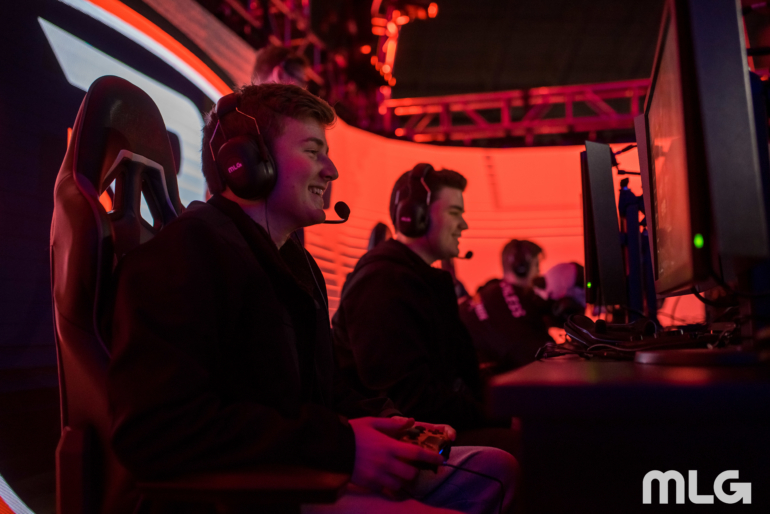 But the CWL Dallas and New Orleans champions were much more prepared for tonight’s showdown against Echo Fox. For starters, the opening map result was a much better one than in the OpTic series. On Ardennes Forest Hardpoint, tK’s slaying power was on full display with Kenny Williams and CWL Dallas MVP Lamar “Accuracy” Abedi combining for 85 kills in their team’s 250-221 victory. Echo Fox responded in the next two maps, though. Taking USS Texas Search and Destroy in round 11 and Ardennes Forest with a last-minute flag capture, it looked like Echo Fox might out-clutch the team that seemingly clutches every match. But in the end, tK showed why many consider them to be the best team on the planet. With a decisive 82-point Sainte Marie du Mont HP victory and 6-2 SnD win on Sainte Marie du Mont, Team Kaliber improved to 2-1 while Echo Fox fell to 1-1. In the other four Division A matches, no underdog pulled out a win. Red Reserve went 1-1 on the day, sweeping Team Vitality in the first match of the day and then falling to Rise Nation in a series that went to game five, round 11. OpTic Gaming stayed undefeated in Stage One with a 3-1 victory over eRa Eternity. And in the final match of the night, Rise defeated the Australian roster of Mindfreak without dropping a map. Here are the standings in Division A after two days of the CWL Pro League (each team’s series record is followed by their map count in parentheses). The first week of the CWL Pro League concludes tomorrow (Thursday, Jan. 25), with Mindfreak vs. eRa Eternity kicking off the day’s matches at 4pm ET.